From a farmer’s grain bin to the massive reaches of the frozen north of Canada, where virtually every fuel and metal on Earth is extracted, what is the most sought-after commodity? 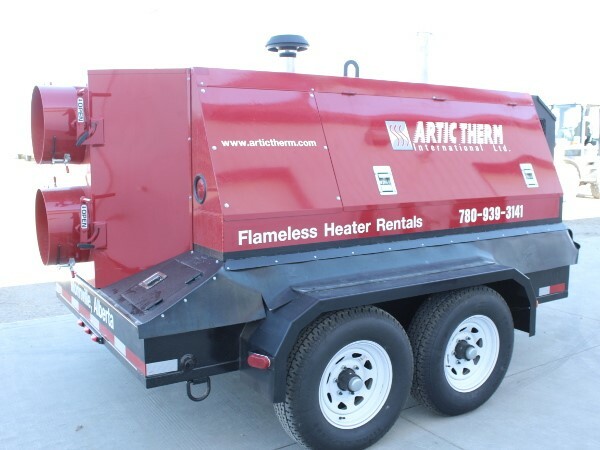 A couple of years ago, Artic Therm (ATI)-- a wholly owned subsidiary of Alberta-based Enterprise Group (E: TSX) began expanding applications for its flameless heat business. That gamble has resulted in roughly a 25% growth in business year over year. (Ask any fireman and he will tell you fighting a fire in freezing weather is the ultimate nightmare). With approximately 150 units, these robust and versatile units from retail size to those large enough to heat and condition massive lengths of pipelines and require an operator 24/7. Hands up! Who Likes Wet Grain? Drying grain, thawing frozen equipment, heating a barn or living quarters or prepping a pipeline section; it is pretty much the only economical way to keep things warm and dry. Temperatures that can reach minus 50, and that’s before the addition of the almost constant deadly wind chills. Let’s chat about Grain Drying. Utilizing one of Artic Therm’s 150 flameless heaters, with maximum heat ranging from 500K btu to just over 3 million btu, the goal is to add the dryer and upping the efficiency of the bin’s aeration fan. By speeding up drying by a point (1%) a day, the process is not only cost effective but gets the grain to market faster thereby securing better prices. The barley chart above delineates the moisture reduction. 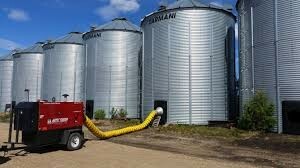 As well, since grain can be binned all over a large farm, portability is critical. The stakes are high; if not done correctly, a lucrative crop will quickly be reduced to worthless seed. What are the costs per bushel for this grain drying? With a monthly rental cost in the low four figures, the cost of retaining quality top price grain is worth the incremental heating cost, which works out to pennies a bushel. If the process gets the good product to market faster, even slightly, it’s a small price to pay. Again, this is probably best illustrated with an example calculation using several assumptions. Keep in mind that this example includes fuel costs only and does not include the additional costs of labor, electricity, grain handling, depreciation, and other less direct costs. 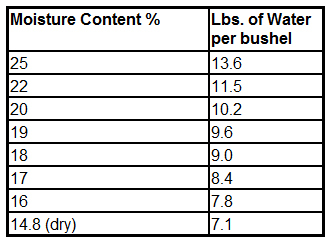 Why Should Investors Care About Wet Grain? They shouldn’t. They should care about dry grain. With significant growth rates, ATI is quickly educating farmers to eschew their healthy and usually wise resistance to new processes. Using heat to make the drying process more efficient is a relatively new process but quickly becoming an impressive profit centre. There are very few companies who have made an ATI size commitment and the Company is arguably the most significant player. Even ATI/Enterprise don’t know the exact size of what is undoubtedly a massive market. The Company is confident that as efficacy of the process spreads, the current and initial 25% year over year growth rate should climb dramatically. From an idea born at ATI to generate revenues during the 2015 downturn, grain drying is looking to become a significant revenue generator; along with all the other necessary uses of this unique flameless application. Harvest is looming, and the Company is already seeing increased quote requests over last year. Farmers and investors are not dissimilar. Those that are successful watch over their investments and find the best ways to maximize revenue and profits. It’s healthy that both are somewhat skeptical of new processes, but as Grain Drying is already a success and has potentially a massive growth path, it will become mainstream soon. Almost forgot: Using the traditional drying methods, the aeration fan pulls out the moisture which tends to gather on the inside roof of the bin; meaning the drying takes longer without an ATI product. As a result, the traditional process can result in the first few feet of the top grain becoming wet, moldy and uneconomic. With the dryer combined the aeration fan(s), the result is a much higher volume of dry, saleable grain.